We're back today with another great round-up of all things Vegetarian that I have spotted recently. We kick off today with some new tasty snacks which have just gained the seal of approval from The Vegetarian Society. Yu! Snacks are made from 100% real fruit. They are great for a snack on the go and a much healthier alternative to chocolate or crisps so they also make a great addition to packed lunches. My girls do various after school activities and they always want a snack as soon as they come out of school before starting their activity. Over the last couple of weeks they have been enjoying some Yu! snacks we were sent to keep up their energy and satisfy their hunger. Just Fruit Chews - Bite-sized fat-free snacks which look like a sweet, but are made from 100% fruit. They are also a guilt free less than 90 calories per bag. Yogurt-Coated Fruit Pieces combine real fruit and yoghurt for a creamy zingy snack. Yu! 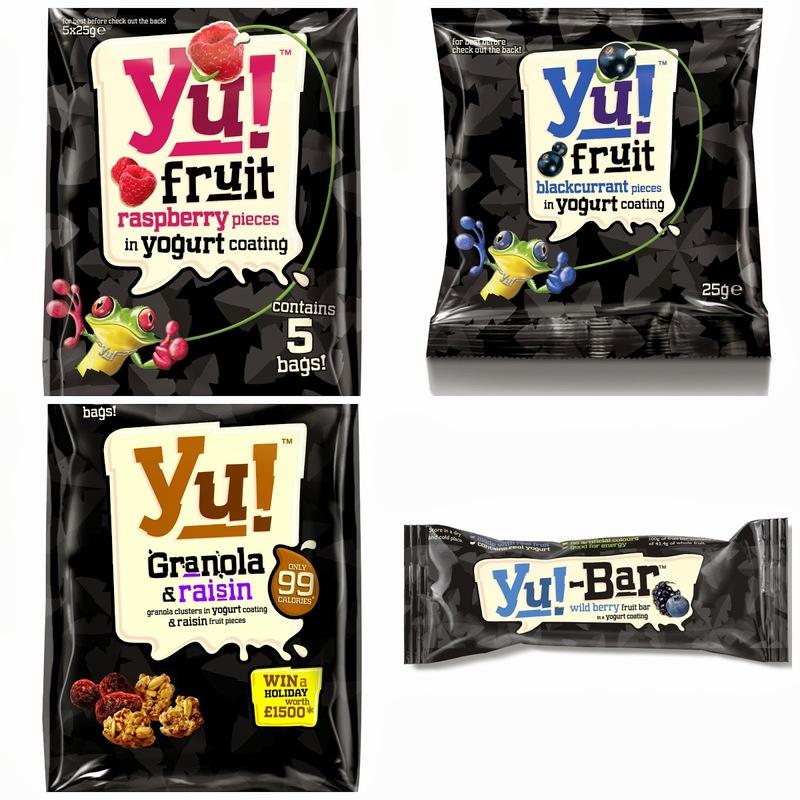 Bars contain at least 40% fruit which is mixed with cereal and covered in a delicious yoghurt coating. Yu! Granola & Fruit Pieces – A great source of fibre, these granola clusters and tasty fruit pieces are again combined in a yogurt-coating and contain less than 99 calories. As a family, we all preferred the snacks coated in yoghurt to the Fruit Chews. Hubby and I enjoyed the Granola snacks as we liked the added crunch of the cereal. I think that these are a great snack for the whole family and a fab way to ensure that the whole family is eating their 5 a day. Yu! products can be found in Sainsbury's and Tesco. A real gem in the local area, I know that many residents in Herts are already accustomed to the wonders of The Waffle House in St Albans. Located in a 16th Century Water Mill next to the river Ver, this is a great retreat at any time in the day or the year and for any occasion. I love this restaurant as it is a beautiful place to sit outside in the summer and a perfect hide-away in the winter with gas burners and log fires burning to make it feel really homely and wonderful. I have very fond memories of meeting my NCT group here for coffee/lunch when our babies were small. 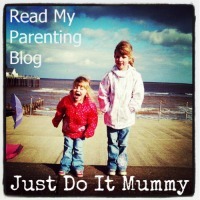 My girls love coming here and eldest always requests a visit when she has an inset day from school. This month, with both girls now being at school all day, hubby and I had the luxury of embarking on a lunch-date to the Waffle House - the first time I think I have been with just grown-ups for a while. The weather wasn't that great, but the gas heaters did not disappoint and it was refreshing to be lovely and warm whilst hearing the rain beating down on the canvas overhead. As well as the wonderful scenic views and lovely atmosphere, the main reason I love the Waffle House is for the delicious food. The Waffle House always uses fresh ingredients and each Waffle is individually prepared. 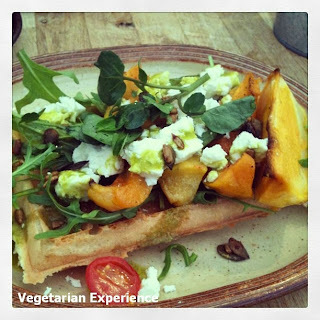 They also always have fantastic Vegetarian options which match up to their meaty options. There is always a Vegetarian soup on offer. Recently I had a rich textured roast pepper, chilli and tomato soup and this time there was onion soup. In the summer I enjoyed a waffle with roast vegetables, chickpea and houmous, and this time I opted for a very Autumnal Butternut Squash, Feta and Rocket Waffle topped with Pumpkin seeds. Although i would have liked a little more oil, the toppings on the Waffle are always just divine. The warn butternut squash was cooked and presented beautifully. We topped off our visit with the classic popular Banoffee Waffle - a choice you can't go wrong with. If you haven't visited already, I would definitely recommend a visit to The Waffle House. Although a little more expensive than other places, you definitely get what you pay for as all of the dishes contain fresh ingredients and many are organic and some fair trade. Although a little busy at times, a table at the Waffle House is definitely worth the wait! Disclosure: I have not been asked or compensated to write about the Waffle House - it is just one of my favourite places to go! Hobby Craft kindly sent us the Tala Child's Baking Set to review. My girls love baking and so they were thrilled to receive a set of their own equipment to play with. They decided that they wanted to make a the Sponge cake featured on the pack and top it off with some icing and so they got busy making their cake. Although they needed a little help from me, this set meant that they could use utensils designed for little hands rather than struggling with the big grown-up sized ones. They though that this set was great and so I would definitely recommend it perhaps as a Christmas present for any kids who may be eyeing up a place on the Kids Great British Bake-Off! 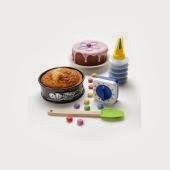 The Tala Child's Baking Set retails at £10 from Hobby Craft. Harvest Time, it's Harvest Time! Sunnyside Rural Trust sells produce grown by their charity which works with adults with learning disabilities in Hemel and Berkhamsted weekly. Tring Apple Fayre is an event which is happening throughout October with various things on offer including an "apple day" and a procession with Farmers Market. Now is a great time to get involved with food, and to enjoy British Autumn produce, so do go out searching to see what is on offer! What fruit or vegetables have you been growing lately? I would love to hear form any successful gardeners! That's all of my spots for now - I hope you enjoyed reading! I LOVE the waffle house. Haven't been in so long! 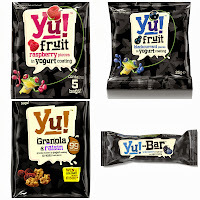 My son really likes the buttons that Yu do - 100% fruit and gone in seconds.